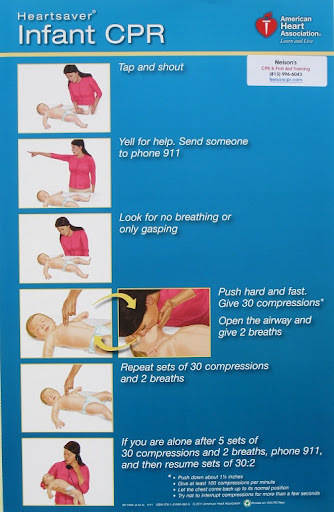 Professional in-home childcare providers should be CPR/First Aid certified. The American Red Cross First Aid/CPR/AED program is a comprehensive training program designed to help caregivers recognize and respond appropriately to cardiac, breathing, and first aid emergencies. Nannies can find a location to get certified, or renew their certification (every two years), by contacting the American Red Cross. The American Red Cross First Aid/CPR/AED Participant’s Manual covers skills that students need to know to give immediate care to a suddenly injured or ill person until more advanced medical personnel arrive and take over. The program incorporates the latest science and meets OSHA guidelines, features accident prevention and emergency preparedness tips, and includes skill sheets at the end of certain chapters, for easy reference and review. Today’s society has a very different perspective on the concept on the concept of family than it did ten years ago. The extended family doesn’t necessarily include blood relatives of a certain degree, but virtually any person that is close to the nuclear family, whether related or not, this including godparents, very close friends and even nannies. This may be, in fact, the biggest change that occurred: if ten years ago only 1 in 10 families resorted to the services of a nanny, the percentage is reversed today and the majority of households rely on the presence and work of a babysitter. Not only that, but most of these households consider the nanny as part of the family, since she is practically living with them from the time the baby is born and for many years onwards. Consequently, families are very careful in choosing the babysitter for their kid and spend a lot of time vetting people before allowing someone to pass their house’s threshold. Since the demand grew so much over the years, the offer also rose to the new standards and there are now several nanny agencies that help families find the right person for their baby or kid. In the past, not many people had heard about, let alone resort to a home staffing network, but today, it is a common reality and there are numerous households that resort to the services of such an agency. However, there are pros and cons to relying on a home staffing agency to find your nanny and here are the most common concerns people have. First of all, there is no 100% reliable feedback to rely on. When you hire a nanny upon a recommendation received from a close friend, a relative or a co worker, you get their feedback and you know that you can either trust that person’s opinion or not. Nonetheless, when you employ any of the numerous nanny agencies out there, you are forced to trust their vetting process and their considerations of what’s reliable or professional or qualified. In addition, when you go through an agency, you end up paying a little more than the market average, because you are not only paying the nanny’s services, but also the agency’s fees and commissions. At the opposite end, a home staffing network is a wise idea, because you can rely on their professionalism and guarantee of service. If something goes wrong or you have any dissatisfaction, there is someone you can hold liable or a place where you can go to demand answers: the agency. Furthermore, if you resort to an agency, you are assured that, no matter the circumstances, you will have someone there to do the job. For instance, if your nanny is sick or needs to take some time off, then you don’t have to go through the ordeal of finding another babysitter yourself, because the agency makes sure that you benefit from the services of a replacement. This is the kind of service and professionalism you can expect from nanny agencies and domestic employment companies. To find out more about nanny agencies and the services of a home staffing network, feel free to follow this link.